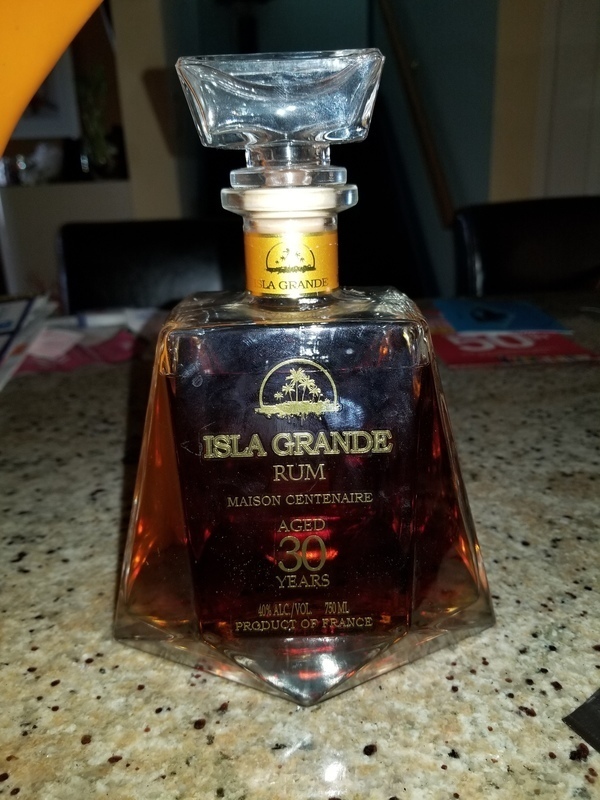 Have you found an online vendor selling Isla Grande Maison Centenaire 30 year? In my journey of exploring rum I seen this in the local store. Nice bottle thats worthy of reusing. That said, I tend to wonder whether its really 30yrs old? Another question, do you really need to blend 30yr old?Blending from numerous distilleries and keeping to the 30yrs old?? I gave it 1 extra point from 7 for two reasons, the bottle itself & the price. For a 30yr old there's not much wood so if you dont like that oak flavor you might give it another point! So well balanced it sings of blending, a scotch whiskey tradition. "Hell, let's give it a try. It works for them!" Let it breath and the bite simmers down. Better on the nose than the palate. Not something you would do neat, a cube or two. But thats french RHUM. And that's obvious from the first to last sip. A good bang for the buck! Won't go chasing this one but glad I tried it. I have not seen this in too many stores and thought I would give it a try. Not familiar with the brand and had not tried French rum. There also was very little in the way of info or ratings for the brand. Very smooth and sweet, an absolute winner. A great sipper if you are like me and drink your rum neat. Definitely glad I took the risk.